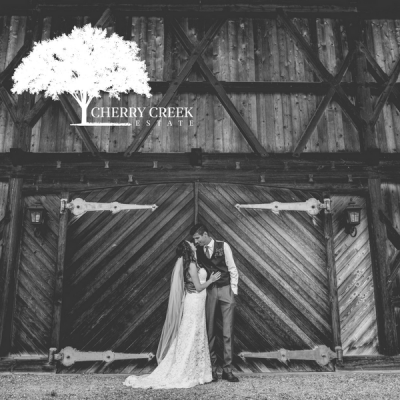 From the photographer, Fernanda of Fernanda Rite Photography: This beautiful property in Coal Creek belongs to the brides family. Kiley was born and raised in Golden, Colorado and the couple chose this stunning scenery to capture their engagement pictures. It was a sunny rainy day (Colorado summer weather) and they were right on board to take advantage of the occasion�there is nothing that can stand in the way of a madly in love couple! The breath-taking colors after the rain made everything clean and bright. Their story from the Bride, Kiley: We met for the first time on May 15th, 2015 when my best childhood friend and Cary's friend from his company at the United States Naval Academy, Ty Mechling, arranged for us to attend the Naval Academy Ring Dance together. After spending an incredible weekend together in Annapolis, we said our goodbyes and didn't think we would likely ever see each other again. I was finishing my degree and my final year as a Rock Chalk Dancer at the University of Kansas and Cary was in his last year of school before his commissioning all the way in Maryland. Less than a month after meeting him, I asked Cary to come and visit me in Kansas during his off block. The next Friday, he drove six hours to see me and we have been inseparable ever since. In the next year, we managed to see each other at least once a month and found ourselves on the craziest adventure we could imagine. Together, we have traveled to Denver, Colorado, Morton, Illinois, New York City, Washington DC, Kansas City, Kansas, Franklin, North Carolina, Las Vegas, Nevada, Nashville and Memphis, Tennessee, and finally moving to Cary's first duty station in San Diego, California where Cary is starting his career as a naval officer and I am beginning mine as a Sales Associate for Cox Communications. To my COMPLETE surprise, with the help of my best friends and with my father's permission, Cary asked me to spend the rest of my life with him on March 12th, 2016 on Coronado Beach by firelight. It was the best night I can remember ever having, even though I cried continuous tears of joy like only I can.